Bowe Bergdahl desertion charges: Idaho POW freed in 2014 is accused (update: Army denies). A billboard near Spokane, Washington, last year. 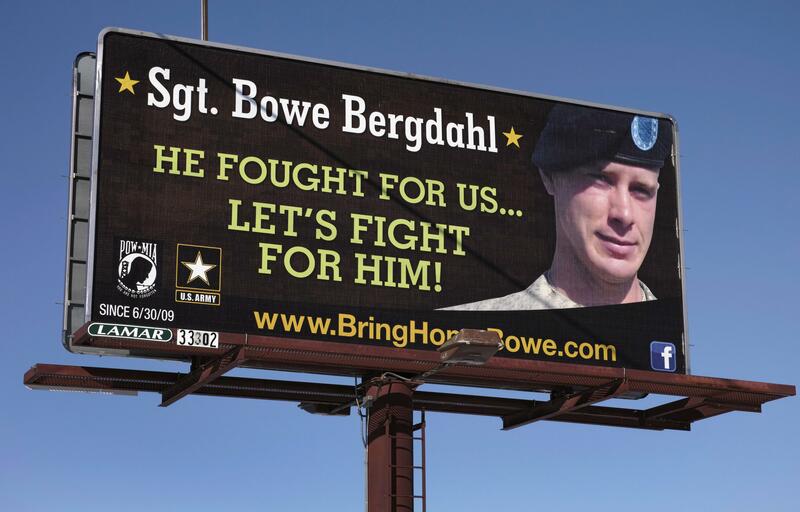 NBC reports that, in light of the time he has already spent in captivity, Bergdahl will likely be offered a deal that would allow him to avoid a prison sentence while leaving the Army with a “less than honorable” discharge and forfeiting back pay.